Last weekend's Prairie Village Photo Walk was fun and I think we got some good photos. My goal was to try High Dynamic Range imaging for the first time. For those of you who don't know what HDR is, do a Google search and you'll find many better descriptions than I can give. Basically it is using several different exposures to balance out a scene where the camera is not going to be able to handle the dark shadow details and the bright highlights all in one shot. 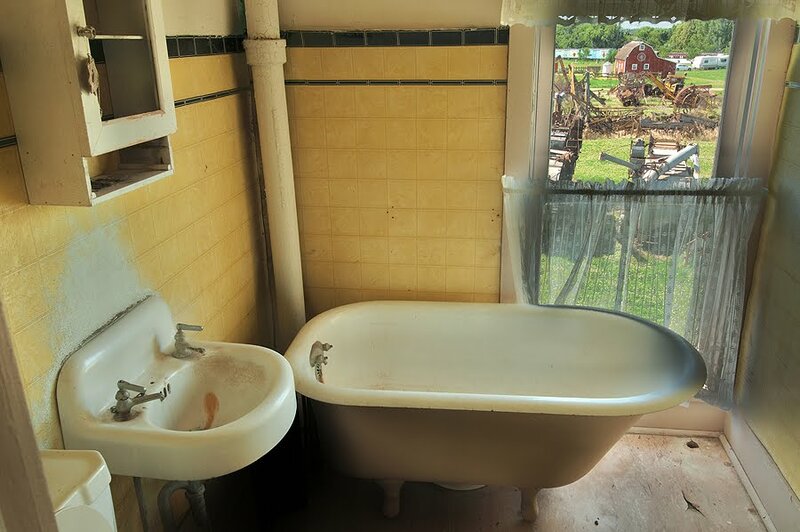 For this fairly realistic renditioning of an upstairs bathroom in Prairie Village's historic "Old Madison Hotel" I used three different exposures and combined them in Photoshop to allow both the dark area under the tub and the bright outdoor scene through the window to be equally visible. Many photographers are using the HDR technique to create more artistic views of the world, so I thought I'd also try that approach. 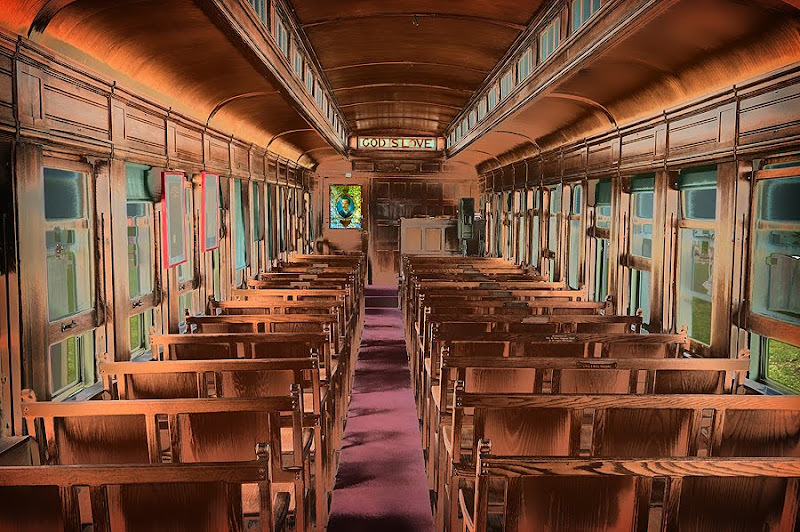 This railroad chapel car provided a good place to push the HDR processing controls to the far edges of realism. Not something you'll find me doing every day, but interesting enough. It will take a lot more work before I feel comfortable with the entire HDR idea, but stretching my personal boundaries was what this exercise was about. I think I accomplished that goal. Chad, I have to ask if you can share the settings for your bathroom HDR image. Did you use a polarizer too to help at all with the window? Was it a burst of 3 shots at +/-1EV or 2EV, etc. I know you had a wider angle lens than I do which really seems to help with the perspective, but I also like the higher angle you shot from than I did. I can see how it helps remove the washed out sky in the background that I have, which in hindsight may be part of my problem. I've been playing with my 3 shots in Photomatix HDR software and am just not pleased with the result of the window area. I didn't take enough shots with a wide enough variety of settings, etc., but even with my poor results, it's good practice for next time! Well, let's see. No polarizer. I think that might have made the shadows inside even deeper. I actually took 6 exposures, but only used 3 for the HDR. Yep, I can see where having a bunch of bright sky would be a problem. As I said, this was my first attempt, so I don't have much experience to draw from. We will both have to practice more.